As foaling season begins again, Kentucky horsemen have once again braved winter temperatures to do last-minute shopping at the Keeneland January Sale, looking for a bargain. 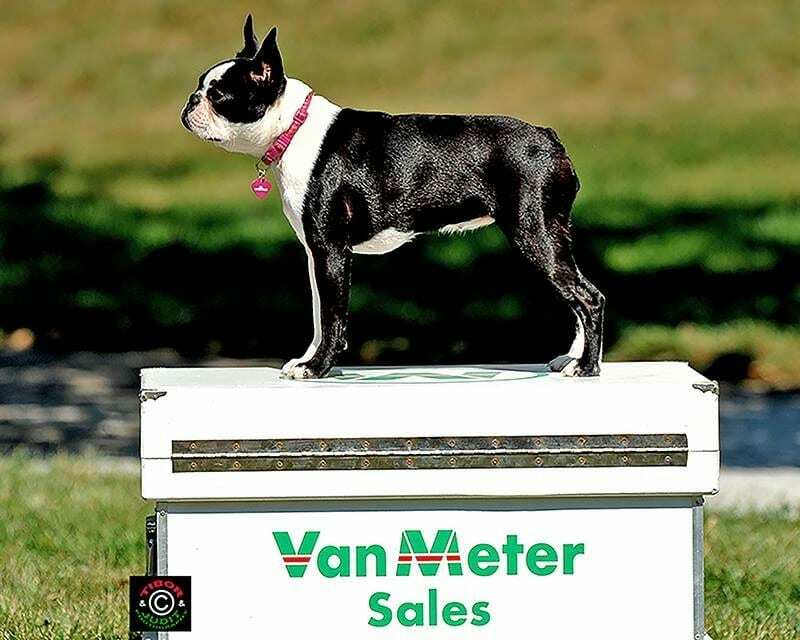 For consignors, the calendar marks a return to work after a relatively quiet December, which also means it's back to the grind for CiCi the Boston Terrier at VanMeter Gentry Sales. At three years old and all of ten pounds, CiCi is a pup of all trades, greeting clients at sales (she has been to every VanMeter sale since moving to Kentucky) and accompanying Tom VanMeter on farm chores at Stockplace Farm in Lexington. For a while, she also had a part-time job: trying to win over VanMeter. “I wanted a Boston Terrier very much, and Tom was not convinced he wanted a small breed dog,” began Renee Dailey, VanMeter's longtime partner. VanMeter interrupts, eager to set the story straight. “She was at the sale and they had some of those Jack Russells running around. I am not a Jack Russell guy. She brings it over and I'm like, 'Please, don't get a Jack Russell,'” VanMeter remembered. The Jack Russell idea was out but VanMeter said Dailey suddenly got very mysterious. CiCi routinely travels with Dailey and VanMeter and has a small carrier that slides underneath airplane seats. She is a quiet jetsetter and needs no sedation to fly without a peep. “CiCi does not know a stranger,” said Dailey. “She's really good, she'll sit in the chair [at the sale barn] and not get down. VanMeter said the horses pay little attention to CiCi, though she will sometimes choose a favorite stall to lie in front of. There's no denying that VanMeter has had an impressive run at the sales since CiCi joined the team. At the 2017 Keeneland September sale, VanMeter-Gentry sold a $2.7 million Tapit filly, as well as a $1.1 million War Front colt. Before that, the consignment had the co-top price for an entry at the 2016 Fasig-Tipton October sale – a Curlin colt who brought $350,000. Could CiCi be a good luck charm? Maybe, maybe not. But she's happy to take all the backrubs visitors will give her while they ponder the question. This entry was posted in Barn Buddies, Horse Care, NL Article and tagged barn buddies, Renee Dailey, Stockplace Farm, Tom VanMeter, VanMeter Gentry Sales by Natalie Voss. Bookmark the permalink.